One of the common problems that you need to deal with when working with small objects and dark holes like the teeth and the mouth is your ability to see clearly. Visual defficiency is often associated to the absence of or the use of wrong type of magnification optical aids. While general clinical and diagnostic procedures can be done with the help of just the overhead lamp and your bare eyes, other more intricate dental procedures require the use of proper magnification devices. But why should a dental professional use optical aids when practicing dentistry? Among the most widely used magnification optical aids today is the surgical loupe, also known as dental loupe. The benefits that quality dental loupe offers both to the dental health care provider and the patient has long been acknowledged. It does not only help you have better vision and better access of each and every corner of the oral cavity, it likewise help you maintain a healthy posture while working. There are many reasons why dentists should use loupe when performing dental tasks. One is its ergonomics value. When working with your bare eyes, most the time you need to bend your head down or lean your body forward towards your patient's mouth in order for you to clearly see your working area. While holding such unnatural and uncomfortable position for a few seconds does not hurt much, if you stay this way for a longer period of time you will suffer from eyestrain, headache, and muscular pains like neck fatigue, shoulder stress, back pain. In the long run, this can lead to unhealthy crouching posture, also known as dental hunchback. The use of excellent quality loupes can also affect your career longevity. 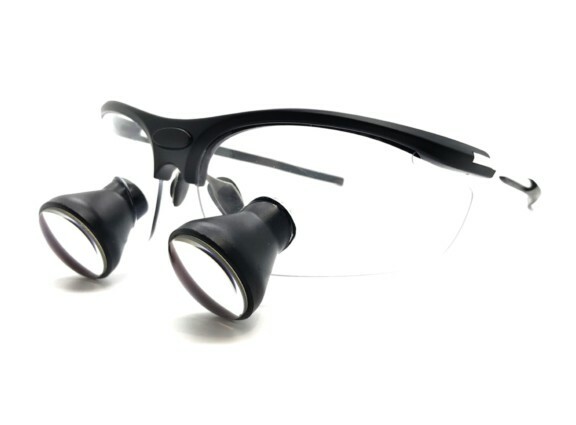 Dentists who have been using the right type of loupes at the earlier stage tend to have better and longer dental career than those who do not use optical aids. As they grow older, the work related chronic illnesses that they experience are also kept minimal as compared to the non-users. Dental procedures can vary according to level of difficullty, from simple procedures like routine tooth extraction, amalgam fillings, examinations, fluoride treatments, and teeth polishing to difficult tasks like dental surgery, orthodontic treatment, bridgework, and tooth implants. Dental loupe allows you to work comfortably and efficiently all day long regardless of how difficult the dental procedures you performed. Needless to say, it can help lower down the difficulty level of every dental procedure that you need to do by enhancing your visual acuity and promoting proper hand-eye coordination. One other primary reason why many dentists choose to use surgical loupes instead of the traditional magnification devices like the dental microscope is convenience. Dental loupes are more convenient to use. They are also very portable and they do not require much space for storage. You can also bring them with you whenever you need to use them somewhere else. And they are as well easier to maintain. If you need to add prescription lens, you can easily ask the manufacturer to have the loupe customized based on your needs and specifications. This entry was posted in Surgical loupes technology | Schultz Dental surgical blogBy Roger Jing On Jun 30, 2017 .